Tom Manzo is president of Timely Prefinished Steel Door Frames. Mr. Manzo was born in Detroit, Michigan and raised in the south end of Madison Heights – a working class city just two miles north of Detroit. He attended Oakland Community College where he obtained an associate degree and eventually received a bachelor’s degree in business administration from Walsh College. It took many years to finish college, as he always worked full time while attending and paid most of his schooling on his own. Tom never gave up on his commitment or the dream of a four year degree and the will to achieve that goal. He is certified from Stanford in Project Management – one of only a few thousand nationwide. He is authorized to put SCPM on his business cards. Tom has additional training in executive education from the University Of Southern California Marshall School Of Business in strategic management and executive leadership skills. Timely Prefinished Steel Door Frames in Pacoima has almost 200 employees. Tom has been with Timely for over 14 years. Manzo got into sales in Detroit working with a supplier to the Big Three automotive companies, offering repair services on components for all of their automation. Eventually, he opened his own company supplying repair services to most tier one and tier two suppliers related to the plastic injection molding industry. The company he started was sold, and he consulted a company who made door frames, where not only did he meet Timely, he met his wife. She was the reason he came to California. 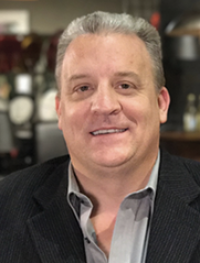 Tom is founder and president of CABIA, a new nonprofit organization dedicated to changing the burdensome and unfair labor laws in California. He decided to take action when his company was hit with a Private Attorney General Act (PAGA) lawsuit for ridiculous claims. That suit caused him to realize that the 1,000+ pages of California labor law are nothing more than a tool for plaintiffs’ attorneys to use against hardworking businesses. Before taking the leap to create a new organization for this effort, he reached out to other business organizations to see if they were interested in the fight. Unfortunately, many already had full plates, and others simply showed no interest. Some organizations say they represent businesses, although, due to politics, they support agendas that are actually harmful, and others just don’t want to stir the pot. While trying to connect with politicians as an individual or even a company seemed impossible, Tom recognized that California businesses needed a voice.